Can a foreigner buy land in Thailand? Buying Property in Thailand, can a foreigner own land? In short no, the only type of property a foreigner can own is a condo as it does not involve owning all the land of the buildings footprint. There are however options for those not wanting to live in small environment of a condo and prefer the freedom and privacy of living in a house. If you’re a frequent visitor, wanting to become an expat, and looking at buying property in Thailand but have been put off by horror stories you’ve heard we’ve put together this short guide on how to protect yourself. We see and hear on a daily basis foreigners who have run into problems with property they have bought or built in Thailand that could have been so easily avoided. The equivalent sized property in areas such as Ubon Ratchathani might cost as little as 2 or 3 million baht and therefore easy to dismiss the importance of protecting your investment. However whilst it might seem cheap coming from a foreign country one should remember, when equated to earnings, 2 or 3 million baht is 16 to 25 years average Thai salary and therefore essential to have something in place. Most would never dream of investing 16 to 25 years average salary without a safeguard in their own country, why do it in Thailand? Leasehold 30+30 years – This is the same as renting but for a longer term. In other words the owner, often the partner, rents the property for a period of 30 years with a renewal clause for a further 30 years. This gives you the right to occupy the property for the said length of time and also the ability to sell the leasehold agreement if required or pass it down to heirs to enjoy the property for the remainder of the lease term. There are some taxes to be paid upon registering the lease against the property and it cannot be used if already married. USUFRUCT – Much like the above this gives the rights to occupy the property. The difference being is the agreement is extinguished upon death and the property is then returned to the owner. This is ideal for those who wish to leave the property to their spouse. It can be used even if already married and there are no taxes to pay merely a small surcharge of around 200 baht to register the agreement at the land office. Mortgage – Exactly what it says, the foreigner becomes the bank and is registered on the chanote (title deed) as the lender. Whilst this does not give the right to occupy the property it does have the upside of being able to force a sale meaning that if there was ever a dispute arise the owner would have to either reimburse the amount indicated on the mortgage agreement or if they cannot do so the property is sold and the debt paid off to the lender. It also prevents the owner borrowing against the property. Company – This involves forming a company the property is then held as an asset of the company. The company needs to be 51% owned by Thai stakeholders and only 49% can be foreign owned. However there is a system called preferred shares which grants double the voting rights per share. The 49% stake actually gives 98% voting rights and therefore as the foreigner cannot be legally voted out as Director and signatory. You can sell the property or the company at any stage. One drawback is annually the company must makes tax returns done by an accountant. This usually cost around 12,000 baht per annum. Feel free to contact us at Ubon Homes for further details, we can help arrange the necessary documents for the above options for our customers. *Please note Ubon Homes Co Ltd. are not legal advisors and all methods indicated should be prepared by a qualified lawyer. The options outlined above are NOT types of ownership but ways you can occupy a property and protect your investment. Land in Thailand MUST be owned by a Thai entity. In part 1 of Choosing a real estate agent we discussed the progression of the real estate agent from what it was before 2014 to what it has become today. Part two concentrates on what to look for and avoid when choosing a real estate agent in Thailand. As when any industry expands there are positive and negative elements appear, some of the original problems in the industry have almost been eradicated such as the dishonest practice of adding on. Whilst it does still occur; greater transparency with listings being published online has allowed owners to see for themselves what price their agent has listed their property for. Online marketing has also allowed for greater exposure for sellers and more choice for buyers. The days of driving round endlessly looking for signs for sale have thankfully gone. There are some important factors to consider when choosing a real estate agent that distinguish between the serious and dedicated professional and the person with nothing more than a Facebook account and a telephone who has made little or no effort to study the industry or protect their customers, merely chancing that they can make money without doing much work. Avoiding an agent with nothing to lose is often a good policy. A website that is properly maintained and up to date with the latest properties and information to guide you through the, sometimes daunting, process. A registered Limited Company is a good sign that they are serious and here to stay, not gone tomorrow. VAT registration, whilst many view this as an unnecessary additional cost to the customer and complain that other agents aren’t charging VAT. However it does give you peace of mind that you are in fact dealing with a reputable and honest agent who pay their taxes. The VAT threshold in Thailand is, at the time of writing, set at 1.8 million baht per annum (150,000 baht per month). Any agent spending any significant money on staff, marketing, rent and other general expenses associated with running an agency should hit the threshold in expenses alone. Look at receipts from any successful company and you will see there is a charge for VAT, if you come across an established agency with several staff and an office that isn’t VAT registered then it is highly likely they are not declaring their income to avoid paying their taxes. The honesty and integrity of such an agency is therefore questionable. An office, some may feel it unnecessary for a modern agent to have a proper address and place of business. An agent with an office is far less likely to disappear should something go wrong. There is no legal recourse if you cannot find the agent/agency to take action. Proper contracts, when it comes time to sign on the dotted line then you want to know that what you’re signing gives fair and sufficient coverage to protect your investment whether it be a rental, sales or a deposit contract. As a foreigner you should ensure that anything you sign you can read and fully understand. Some customers/sellers do not wish to make a sales agreement with their agent. It’s illegal for an agent to accept to sell a property without a prior written agreement setting out terms and conditions and authorisation from the lawful owner to advertise their property for sale. Should your agent turn up with a standard generic contract bought from a stationary shop (see example below) then they probably haven’t made any effort to make sure the contract is suitable for the particular situation. If your agent comes up with a more lengthy and specific contract, available in English and Thai, then it shows they have made the effort and their contract templates written and approved by a qualified lawyer. There are many circumstances where an agent gets caught in the middle and blamed for the actions of others such as a dishonest landlord who doesn’t return a deposit when they should; an owner dragging the buyer and agent into a divorce dispute or even a tenant who damages a property unnecessarily and leaves without paying bills. There are dishonest people everywhere and often when a customer in a situation such as one of the above examples then they tend to lay the blame with the agent. An agent cannot be held responsible for the actions of others and can only do their best to circumvent encountering problems by tying both parties into to a contract that provides some legal recourse should it be required. Overall the industry has come a long way over the last five years since Ubon Homes set up the first Western standard real estate agency in Ubon Ratchathani and raised the standards. We are proud of this achievement and pleased to give something back to the city. The private sector of the northeastern province of Ubon Ratchathani plans to propose the construction of a double-track railway to the Lao border and the expansion of Ubon Ratchathani airport and the regional hospital during the mobile Cabinet meeting in Ubon Ratchathani and Amnat Charoen on July 23-24. Somchart Pongpanakrai, president of the Ubon Ratchathani Chamber of Commerce, said the public sector wants to ask the government to expand an existing highway to four lanes from Ubon Ratchathani to Tambon Ban Tan in Ban Tan district where the 6th Thai-Lao Friendship Bridge will be built and improve Highway 24 from Det Udom distict to Chong Mek, a border check-point with Laos. He said a proposal will also be made for the Ubon Ratchathani international airport to have five more parking bays to accommodate about 1.4 million passengers using the airport annually. The Ubon Ratchathani Regional Hospital should also be expanded to have 1,099 beds to take patients from the lower Northeast and neighbouring Laos. Mr Somchart said an 80-kilometre double-track railway should also be built from Warin Chamrap district to the Thai-Lao border checkpoint with Laos in Sirindhorn district with a budget of about 17 billion baht to facilitate the transport of goods and people. Ubon has missed out in the past with projects like the East West corridor from Burma to Vietnam and the high speed rail links, could this be the opportunity to put Ubon back on the map in the Isaan region as an industrial trading hub. We certainly hope so! Choosing a real estate agent is sometimes difficult with a plethora of choice available, selecting the right one to represent you as buyer or seller is essential. Traditionally in Isaan a real estate agent was an old lady who drove from village to village on a Honda Wave with a bag of chanotes (title deeds) gossiping about what’s available for sale. She would typically expect the seller to pay a commission and also add on to the price of the property. As time passed land prices increased in the region. These agents continued to add on more and more even though the job of the agent is to get the maximum value for the owner. 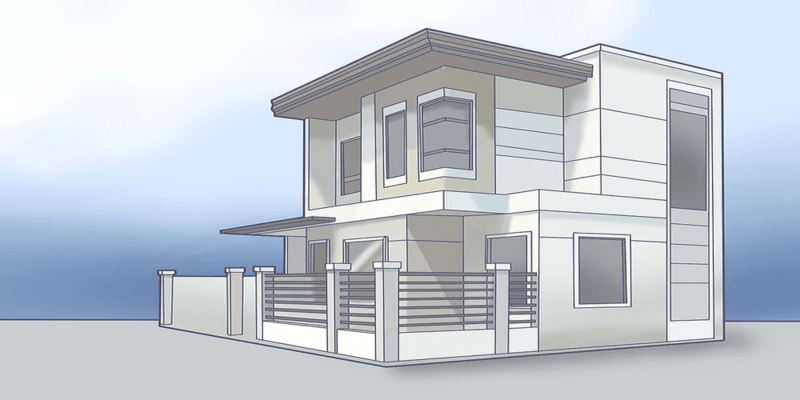 Finally, in 2013, a website called www.ubonhomes.com was created. Never before had property been advertised on the internet in Ubon Ratchathani, Thailand. Many dismissed it saying it would never work because “it’s not the Thai way!”. Adding on continued as the property boom drove prices up. In some cases they would be increasing the price by as much as 100%. It was getting out of control. No regulation or oversight from the Government meant some agents were trying to take profits of as much as 10 million baht from one transaction. The property industry in Ubon was destroying itself through greed and corruption. Two years on and local people were starting to take notice of the new method using the internet and social media to market property. The adding on was declining, slowly the old style agents were being replaced by a new generation in the city. Facebook pages and groups and even a magazine started to appear in Ubon. Seminars took place promising to teach people how to become a real estate agent. People were starting to gain trust again as marketing on the internet allowed for greater transparency. Fast forward to 2017 and we are presented with new problems in the local property industry. Due to a downturn in economy, an increase in household debt and large number of people assuming that they can get rich quick by becoming an agent using just a mobile phone and a Facebook account. Are we heading in the right direction or back to where we were? In part 2 we will identify the pitfalls and what to look for when choosing a real estate agent. Please sign up on our website for updates. Don’t ask for too much.Everybody seems to value their own property above the market value. If you want a quick sale, you should be realistic. This is the most important factor when selling any property. If the price is above market value then it will not sell. Try not listening to rumours about what another seller sold theirs for or even pay too much attention to what other sellers are asking for their property because there are many properties for sale and have been for a long time due to the owner asking for an unrealistic price. If your home is on a housing estate (moo baan) then look at what the developers are selling the same size house for, even if your house is fully furnished you can expect the actual sales price to be much less than a new one costs. Get the opinion of a reputable real estate professional who knows the market and see’s the actual sales prices for many similar houses. Be prepared to lower your expectations if you genuinely want to sell. The current market is very competitive due to oversupply of new homes, in order to sell your price should be competitive too. Sometimes, a lower-than-expected price on a house can be a good thing. A low price can spark a bidding war, causing the price of the house to go up.A bidding war isn’t guaranteed, but it’s a lot more likely to happen when the price is lower than it is if the price is higher. Look at comparables when arriving at a price.Comparables are what other similar houses have been sold for in your neighbourhood. Your agent should be able to provide some examples this will help to gauge what the real price is. However be careful listening to prices other have claimed to achieve as this can be misleading. If you have a 3 bedroom, 3 bath house, ask your agent how much other 3 bed, 3 bath homes in your immediate area sold for to get a good idea of how to price for a quick sale. Use charm pricing and “under a century” numbers. Instead of choosing to list your house for ฿4,100,000, consider listing it for ฿3,995,000 so that it fits just under the psychologically important round number. You see retail shops and businesses using charm pricing all the time, and for good reason: People favour these numbers because they have the allure of not tipping a certain scale they have in their heads. ฿3,995,000 sounds so much more intriguing than ฿4,000,000 even though they are functionally the same. Give yourself a timetable for when you’ll lower the price if you don’t get an offer.A lot of the time, homeowners stubbornly cling to a price that’s too high and refuse to move. Then it takes months, sometimes years to produce a sale. 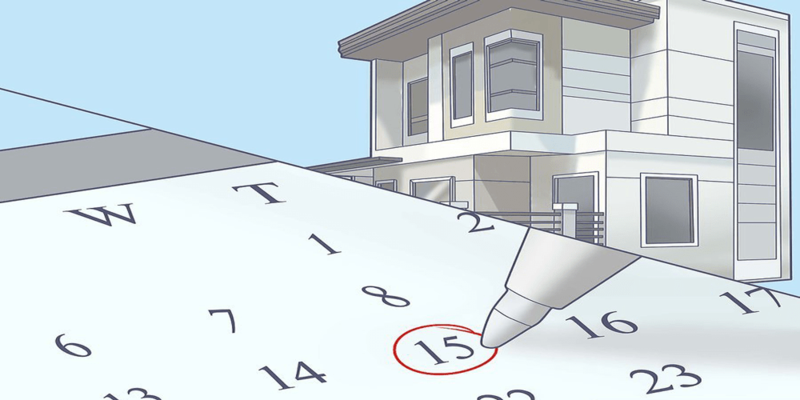 Set a date on the calendar, before you price your home, by which time you’ll lower the price if you haven’t gotten a buyer. This will take emotion out of the pricing and help you sell your house faster. Most of your offers will come in the first 2 months if the initial starting price is attractive enough. Listen to what the market is telling you by getting feedback from your agent as to what viewers thought about your property. 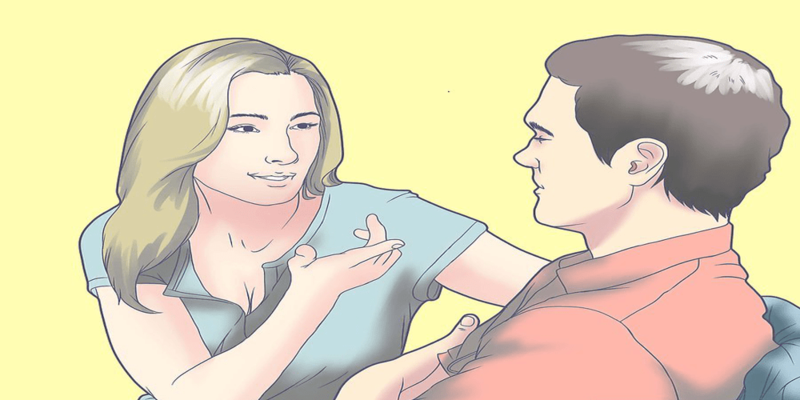 Thanks to WikiHow for some of these helpful tips and images. As a seller, how do you plan on making your home stand out among the thousands of available properties? Don’t fall into the category of stumped sellers whose properties linger on the market for months to come. Make the first impressions of your house count. If the appearance of your property is not tired and in need of repair, a lot of potential buyers won’t even walk through the door. The front of your property is crucial when selling. Gardens should be in good condition and well looked after. Walls, doors and window frames newly painted if needed. Bright colourful flowers always make the front of a property more appealing. The garden can often be the factor that makes people feel welcome and closes the deal. If you don’t have the time or energy to garden, hire someone. It will be money well spent when the house is sold. Clean up the inside of your house. Buyers are looking to buy their dream home and if you want them to part with their hard earned money then you need to sell that dream. The last thing they want to be faced with is dirty kitchen cupboards and floors covered with dirt, dust and grime this is more of a nightmare and will put most buyers off. Remember they are trying to imagine themselves living in your property. Make sure it’s immaculate. Take the time to replace a ripped fly screen, add a fresh coat of paint or colourful flowers to a dining room table. Simple touches like these can add thousands of baht to the price you achieve. Neutralise. Buyers will generally be looking for a blank canvas on which they can impose their own personality. If your personal taste is stamped all over your property, especially in the form of strong colours, the potential buyers will only see this as more work to change it to what they want. Neutral light colours in your rooms with creams and whites in order to provide that blank canvas and also help to make a small dark room feel much larger. Declutter. Clutter such as clothes, toys, papers etc. 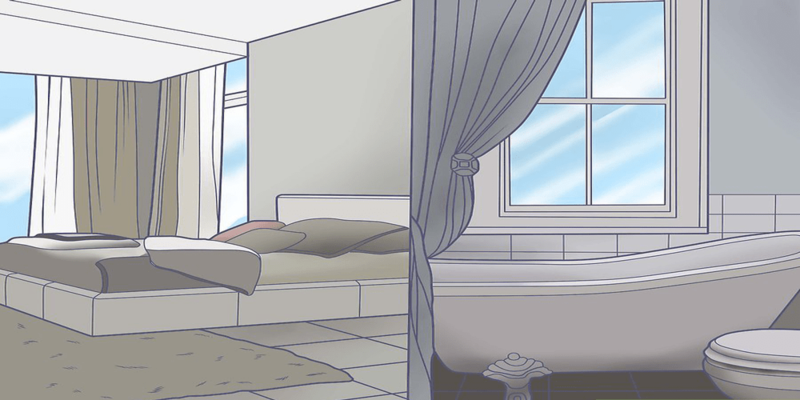 discourages potential buyers by making rooms seem smaller and a lot less appealing. Again, it’s hard for buyers to imagine their own possessions in your property when faced with a mountain of mess. Stage the home. Staging the right way can have a dramatic effect on how quickly you sell. Burn scented-candles, or some say bake a fresh loaf of bread, so the smell emanates into main living areas. Pay special attention to the kitchen and bathrooms — “added value” here can have a more pronounced effect on the price people are willing to pay. Now that you’ve transform your property into a more desirable and appealing dream home for the potential buyers we can move on to Part 2 which is equally if not even more important. In this Buyers Guide series we hope to give foreign investors who have always desired to own a property in Thailand, whether for investment purposes, holiday home or retiring in the sun, the knowledge to do so with confidence. Why should I invest in Thailand? Year after year the various “Rich Lists” we see from publications such as Forbes Magazine or The Times Newspaper it’s clear to see many of the wealthy elite have made their millions through property investment over the years. Whilst you might not be aiming to be the next Donald Trump property has served to be a stable and simple investment vehicle throughout history. Most successful business men and women who diversify their investments always have a place in their portfolio for property at some level. An exotic oriental destination, Thailand has a booming tourist industry that appeals universally. Retirement visas are available to foreigners over 50 years of age, according to their financial means. Healthcare at some of the Worlds top private hospitals is available at a fraction of the price in Western countries. Beaches, mountains, rivers and beautiful countryside Thailand has it all on offer. Thailand’s tropical climate and friendly culture brings visitors back year after year. Year round warm weather gives escape from the cold winter months no matter which continent you’re from. Thai property prices are far lower than that of somewhere like Europe, although they are growing quickly. Many multi national companies are attracted to Thailand as South East Asia’s second largest economy but with affordable labour costs and burgeoning electronics and industrial sector. Suvarnabhumi airport in Bangkok is one of the finest in the world making travel easy both domestically and internationally. Flights here are relatively cheap compared to other Asian destinations. The country has strong business ties with China one of the worlds economic powerhouses. Buy to Let rental opportunities are excellent, due to the number of people re-locating to Thailand. No capital gains tax for private investors, and low rates of tax ongoing. With all this and much more Thailand offers great opportunities to suit different requirements for investors and expats alike. We hope you’ve enjoyed the first part in our Buyers Guide series helping get all the top tips from property professionals for the inside track on Thailand’s property market. Be sure to sign up for our future Newsletters!